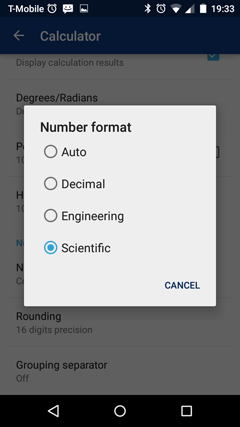 To switch between decimal, engineering or scientific notation, tap the menu button and go to the Settings > Calc > Number format. Auto Format formats the results in the same format you use when you enter an expression. Return the number format to Auto before performing operations that do not use a special notation. 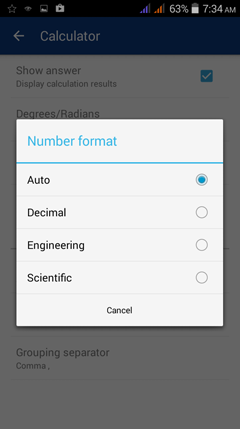 ​To change back to Auto, go to Main Menu > Settings > Calc > Number format > Auto.